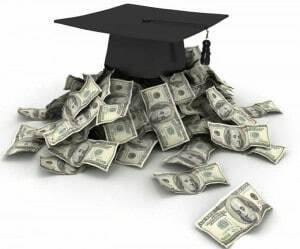 Student loan interest rates drop for the 2015-2016 school year. The new rates for federal student loans go into effect for loans taken between July 1, 2015 and July 1, 2016. The new rates will allow students to borrow at a 4.29% interest rate for subsidized and unsubsidized loans, down from 4.66% in the last academic year. Graduate students will be able to borrow at 5.84 percent, down from 6.21%, and parents can borrow at 6.84 percent, down from 7.21%. In the following interview on WFAA Channel 8 News, Cathy DeWitt Dunn dives into the subject of student loan interest rates. Jason: Student interest rates will drop after tomorrow, which is huge news for students across the country. Many of you, we know, have questions about this though because it is a big change. We’re here to help this afternoon. We’ve brought in Cathy DeWitt, President of DeWitt and Dunn to answer your questions on our Facebook page this afternoon. Cathy, thanks for being with us again. It’s good to see you again. Cathy: Great to see you Jason. Thanks for having me. Jason: Hey, so what question are you getting the most from people about these new student loan rates? Cathy: I think the top question that I’m receiving is everybody is interested in refinancing their loan and that won’t qualify. This is all for loans that are effective after July 1, 2015 for the lower rate. Jason: Cathy, I’ve done some consumer stories with you and we’ve talked about this before. What is the number one thing that you try to tell people who are looking into a federal student loan in the first place? Cathy: Well, I think you need to look for grants, you need to look at maybe going to a community college for a couple years, staying a home. Because once you sign on that dotted line, as I’m seeing today with all of these different replies on Facebook. It’s an irrevocable decision, and you’re going to be paying for that student loan maybe for 10, 20 years. So it’s something you really that you need to sit down and think about before you sign on the dotted line. Jason: And we talked about this. It also cuts into any contributions that you might be making to your 401k plan in those early years when it’s the most critical. So it really is something that you have to look 5, 10 years out with. Cathy: Oh, absolutely. So just make sure you read the fine print. There’s not an escape clause on a student loan. So make sure you know what you’re doing. Sit down with your financial professional and get some advice if you need that. Jason: All right. Cathy, great to talk to you once again. Cathy’s going to be here until 5:00 and those questions have probably been stacking up. So we’ll let her get back to answering those. If you have some questions about this, head over to our Facebook page to ask your question. You can find a link to the conversation at wfaa.com or you can just get on Facebook and search for WFAA Channel 8. Again, she’s here for another 20 minutes or so. See more interviews with Cathy on local television stations.